The TS138 is a user-friendly tractor ideal for homeowners with small to mid-size gardens. It is an efficient tractor with a 38" deck, side ejection, smart design and ergonomics. 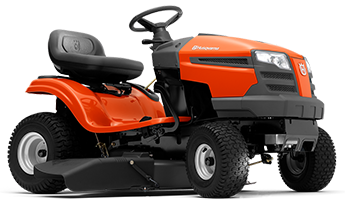 It has a powerful Husqvarna Series Intek engine with chokeless start and simple pedal-operated transmission. Can be complimented with a collector and BioClip® mulch kit. Most suitable for mowing up to 1 acre. No DEPOSIT, 40 MONTHS INTEREST FREE FINANCE AVAILABLE.